You can be Latin about a situation, spit fire and be as intense as The Prodigy. You can also be as reserved and stick-stiff as a North and Central European. Or you can be anything in between and apply both the analytical logic and sensual passion for forming your own way of being. Note that I am heavily using stereotypes and simplification here to paint a clear picture. Reality shows interesting forms of existences that you cannot put into a box. A human person is always a conglomerate of characters, a melange of tastes, a potpourri of ingredients or a medley of melodies. In a situation that requires your attention, you need to be all-in. You engage in the conversation, talk with confidence, to the point and spot on. 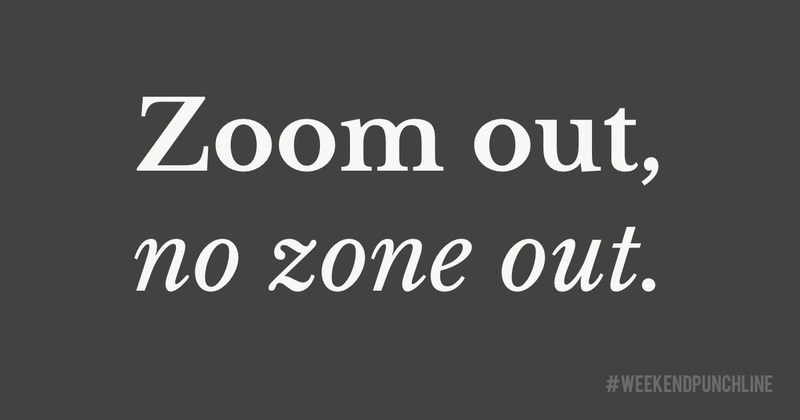 If you were a camera lens you would be completely zoomed-in into the moment. You are as close to the skin as can be to your vis-à-vis. You are yourself and there is no doubt that you give all you got, as an apasionado on fire. You are the subject taking care of the action and making 100 % subjective decisions. You talk to a small percentage of the people and engage with them a lot. You get an intense but narrow idea of the situation. For a broader perspective, you would have to speak to 10 times more people that would result in less intense and therefore more superficial outcomes. As a subjectified self, you will never get the whole picture. You will always only get an idea of the wholeness of a situation. Even if you try to have dramatically more interactions the quality will suffer. That is when you want to stop being the gold miner working for the gold mine’s owner but become the shovel seller that has an outsider’s perspective and makes decisions with an overall picture of the situation. As a shovel seller, you have a wide angle on what is happening. You still do not get the whole picture, all of its aspects, but at least you get more information in one frame. That is the magic of objectifying yourself. You no longer consider yourself being part of the conversation. What you are saying is without bias, without the calculation of gaining a personal benefit out of it. You are not important anymore. You also do not take yourself too seriously in this moment. While your bones were in touch with your skin as a subjectified self, being objectified you have become out of touch with your anchor, now hovering in the air. Therefore, an objectified self no longer needs a thick skin to handle a hard situation, like a subjectified self does. When objectified you are the omniscient spectator rather than the narrow-minded actor. There is a fine balance of being engaged into an interaction while being 5 steps far from it in a reserved distance. It is that contradiction of being in and out at the same time that makes it so fascinating. Colloquially, you could say you want to keep it cool like an iceberg (objectified) while you heat up like a nuclear power plant (subjectified). The challenge is therefore to not taking yourself too serious and important (by zooming out of your bone-skin existence) while being fully in the moment (feeling the skin on your bones) and being yourself. This was episode 36 of the #weekendpunchline . Every Saturday and Sunday.